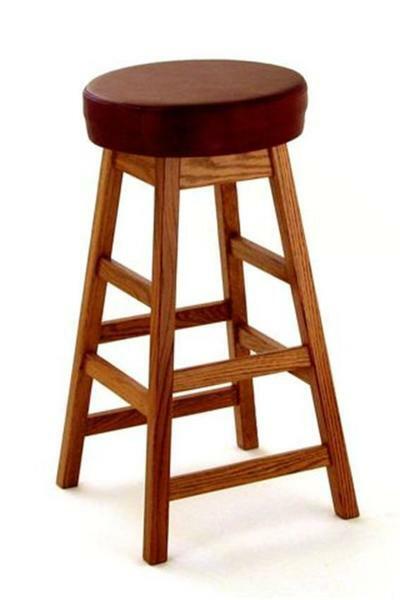 Get ready to relax and enjoy drinks and food at the kitchen counter or bar on a set of very inviting Amish Ohio Backless Barstools. Backless and comfy, these barstools are perfect hosts for casual dining or working at the counter. Features a rounded upholstered top and straight legged solid wood base. From our Prairie Collection, the Ohio Backless Barstools are handcrafted by the Amish in the heart of Ohio and are part of an Amish furniture collection that features high quality dining chairs, bar stools and benches. DutchCrafters is the largest online retailer of Amish furniture. We are excited to share heirloom quality furniture that you can enjoy for generations. Place an order or please email or call us today with any questions. Thanks for shopping with us.